If you’re marketing your business online, you’ve probably come across Yellow Pages. Not just a business directory anymore, Yellow Pages now also offers websites, premium business listings and digital marketing services. There’s a TON of businesses listed with Yellow Pages. Relate to any of the above? Maybe you are hesitant about exploring further digital marketing, as you haven’t achieved the desired results. Maybe you haven’t even started any digital marketing yet. Wherever you are, here are some reasons you might want to work with a boutique marketing agency like Array, for the same price point you would consider with Yellow Pages. A dedicated Account Manager who is upfront & direct. We love to meet with new people and prospective clients – it’s honestly one of our favourite things. In our initial consultation, we are eager to learn everything that we can from you about your business. Of course, we are more than happy to answer any questions you have about us, too! Once we have all of your information, we can really work together to conceptualize our ideas and create an actionable plan that’s the right fit for your business. A tailored campaign personalized to meet the exact needs of your business. At Array, we know that every person and every organization is different – what works for one may not work for another and just putting your name “out there” isn’t always enough. Sure, templates may be inexpensive and easy to implement, our clients have expressed that they feel they haven’t gotten the results they were looking for. Array strives to learn what your short- and long-term goals are, assess your strengths and weaknesses, and then develop solutions tailored to your exact needs. A cutting-edge strategy executed by skilled experts that gets you real results. The team at Array is always learning and improving – keeping up with new marketing strategies and online trends is kind of our jam. We’re Google-certified, formally educated in web technologies and digital media, and have nearly a decade in the industry. When we create a digital marketing campaign for you, we’re using the best knowledge we have available and our efforts are results-focused. We’ve crafted and executed multiple successful campaigns, and even have a few awards to back it up. 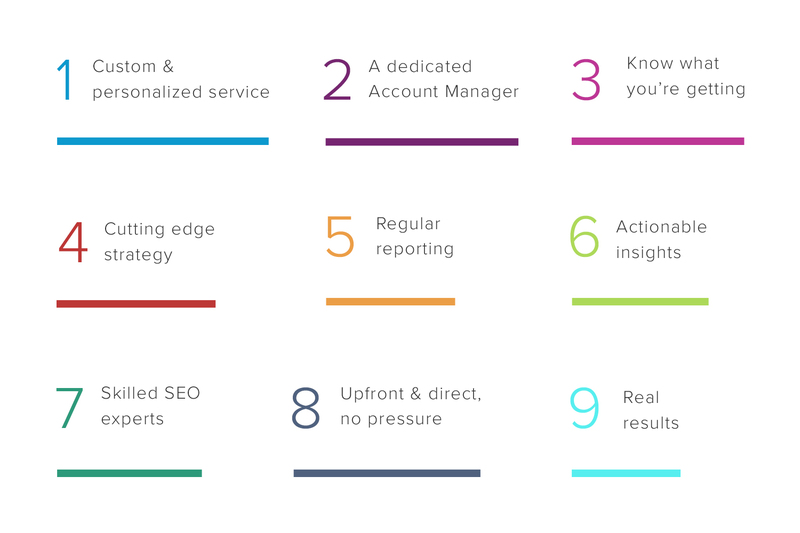 Regular reporting with actionable insights so you know what you’re getting. You’re paying us for a service, so you should know what that service is! Our quotes are itemized, with each piece of your campaign laid out – and behind the scenes, we are monitoring, researching, analyzing, creating, executing and adjusting. With all of that work, and the plethora of insights to be gathered, there’s a lot of information we want to share with you. We condense all of that down into a concise report that gives you a clear picture of what we’ve been up to, the impact of all of our work, and what we are going to do next to get you results. And if you are ever unsure about anything, we’re happy to chat and answer any questions you might have! At the end of the day, helping people be successful is what we do! Every day, we all work hard to make our clients happy. There’s not much that compares to a client telling us how pleased they are or sharing the positive impact our efforts have had on their business. It’s that genuine feeling and pride in our work that keeps us going, and makes us better all the time. Whether you’re considering changing up your existing strategy – or just getting your feet wet – we would love to hear from you!